The MISS SHUGA yacht brochure reveals a vessel of distinction, where careful thought was placed into every detail on board. With an LOA of 98.2ft / 29.9m, the interior design is by MCP Yachts, with exterior styling by MCP Yachts. The MISS SHUGA yacht accommodates 10 guests in 5 staterooms, which are each appointed with the best in comfort and entertainment. 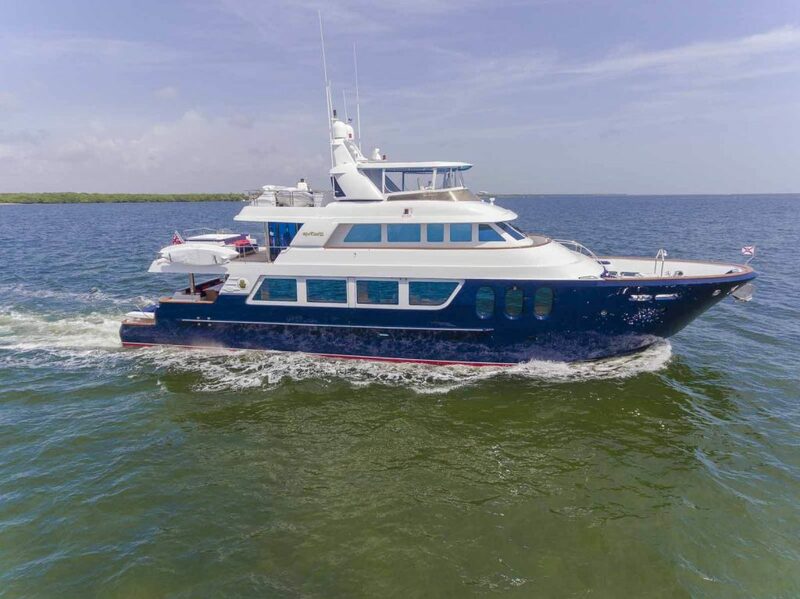 Explore this top of the line yacht, built by luxury yacht builder MCP YACHTS, where meticulous work and creativity come together to create a floating sanctuary. Located in: South East Florida, MISS SHUGA beckons all who seek the best in luxury travel. The MISS SHUGA yacht brochure has been provided for informational use only and may not be used for contract purposes. Please contact your yacht broker at Merle Wood & Associates for additional information and availability. For additional information about the MISS SHUGA yacht; including the price, specifications or location, select one of the options above. To contact a luxury yacht broker, see below. Interested In The MISS SHUGA Yacht? Please inquire about the MISS SHUGA yacht brochure, along with a full market analysis, and your own custom tailored yacht report , by simply contacting a yacht specialist at Merle Wood & Associates. We have over 3 decades of experience booking yacht charter and selling some of the most notable luxury mega yachts on the water. Because of this, we are considered by our clients and peers alike, as one of the world’s premier luxury yacht brokerage firms. The MISS SHUGA yacht brochure has been compiled and arranged to provide our visitors the most current and accurate content for the luxury yacht MISS SHUGA. If you would like to report an error or would like to submit additional information about the MISS SHUGA, please contact our luxury yacht intelligence team.